Concert: Paulus: POEMAS DE AMOR, PILGRIMS’ HYMN, ETERNAL FLAMEStart Time: 00:00:00Date: 2016-05-16End Time: 00:00:00Location: ConspirareLink: http://www.ordway.org/conspirare/Concert Information: “Stephen Paulus: A Lyrical Life” Craig Hella Johnson, conductor Ordway Concert Hall St. Paul, MN No related posts. Concert: Paulus: ORGAN CONCERTO NO. 4; PILGRIMS’ HYMN Start Date: 2016-02-04 End Date: 2016-02-06 Location: Paul Jacobs, organ; Pacific Symphony; Pacific Chorale Link: https://www.pacificsymphony.org/tickets/concert/King_of_Instruments/12434 Concert Information: American Composer Festival 2016 Carl St. Clair, conductor Segerstrom Concert Hall Costa Mesa, CA No related posts. Concert: Paulus: COURTSHIP SONGS Date: 2015-10-11Location: San Francisco Symphony Ensemble membersLink: https://www.sfsymphony.org/Buy-Tickets/2015-2016/Chamber-Music-with-members-of-the-SFS.aspxConcert Information: Davies Symphony Hall San Francisco, CA No related posts. Concert: Paulus: SEA PORTRAITSDate: 2015-11-21Location: New Bedford SymphonyLink: http://www.nbsymphony.org/paulus-rachmaninoff-beethoven.htmlConcert Information: David MacKenzie, conductor Zeiterion Performing Arts Center New Bedford, MA No related posts. Concert: Paulus: PRAYERS AND REMEMBRANCES *New York Premiere* Date: 2015-09-11 Location: True Concord Voices & Orchestra Link: http://www.lincolncenter.org/show/true-concord-voices-orchestra Concert Information: Eric Holtan, conductor Alice Tully Hall, Lincoln Center New York, NY No related posts. 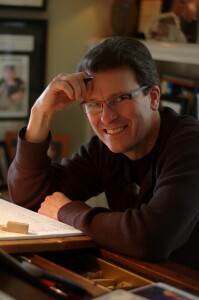 Concert: Paulus: THE COMPOSERS’ CONCERTDate: 2015-04-06Location: Joy in SingingLink: http://www.joyinsinging.com/ComposersConcert_2.htmlConcert Information: A Stephen Paulus Memorial Kristina Bachrach and Katharine Dain, sopranos; Michael Kelly, baritone; Liza Stepanova and Brent Funderburk, pianists Bruno Walter Auditorium at the New York Performing Arts Library New Lincoln Center New York, NY No related posts.